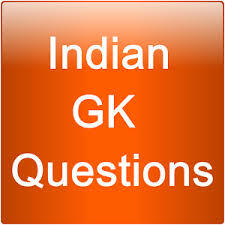 General Knowledge questions on Indian GK for Bank PO, IBPS, Bank Clerical And Indian GK For RRB Assistant Loco Pilot Group D 06-03-2018 questions for bank exams, very important computer-related questions for Bank PO, SBI PO, IBPS,RAS, IAS, UPSC, RPSC, 1st, 2nd, 3rd Grade Teacher, REET CTET, LDC, SSC CGL, IBPS, MBA, CAT, MAT, SBI-PO, RBI And Railway, Indian Army And all competitive Exams, and Most expected Computer Question Papers with answers. These Questions are most commonly asked in Other Banking Exam And All subject Wise Notes and Math, Hindi, English, History, Political Science, Psychology, Sanskrit Related Study material. Question (1) Where is the Kumbh Mela in Madhya Pradesh? मध्य प्रदेश में कुम्भ मेला कहाँ लगता है? Question (2)Where is the big gathering of ‘Rath Yatra’ organized? ‘रथ यात्रा’ का वृहत उत्सव कहाँ आयोजित होता है? Question (3) Where is the famous ‘Kaila Devi Fair’ organized? प्रसिद्ध ‘केला देवी मेला’ कहाँ आयोजित होता है? Question (4) Which month of Pushkar fair in Rajasthan? राजस्थान का पुष्कर मेला किस माह में लगता है? Question (5). In the honor of Sant Kabir, the ‘Maghar Festival’ was started the year? सन्त कबीर के सम्मान में ‘मगहर महोत्सव’ प्रारंभ किया था वर्ष? Question (6) Mughals took the festival of Navroz? मुगलों ने नवरोज का त्योहार लिया? Question (7) Chitrakoot Dham (Karwi) festival is celebrated? चपचार कूट त्योहार मनाया जाता है? Question (8) Where does the Bagwal fair look? बगवाल मेला किस स्थान पर लगता है? Question (9) हरेला क्या है? Question (10) Which Hindu festival is celebrated as the mourning festival by the Tharu tribe? कौन-सा हिन्दू पर्व थारू जनजाति द्वारा शोक पर्व के रूप में मनाया जाता है?